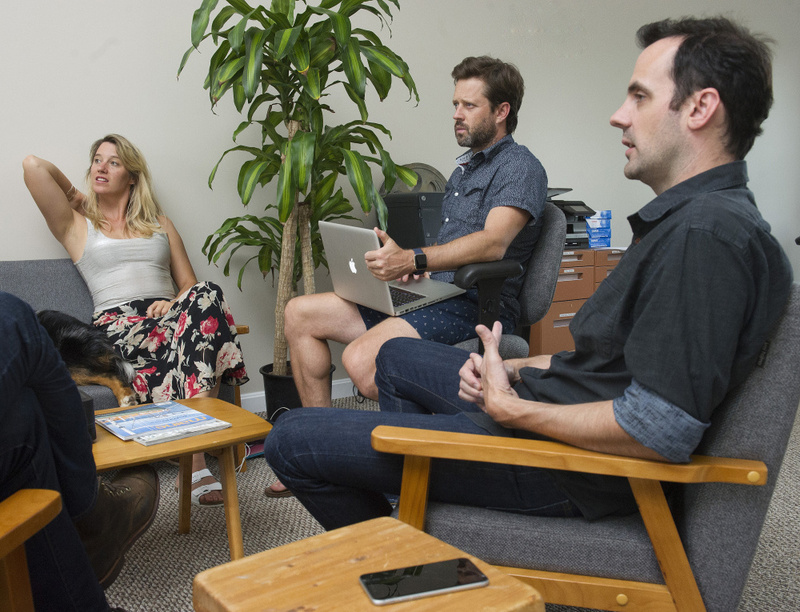 The Camden event starts Thursday, but its parent organization, Points North Institute, works year-round to support aspiring filmmakers and help them make industry connections. 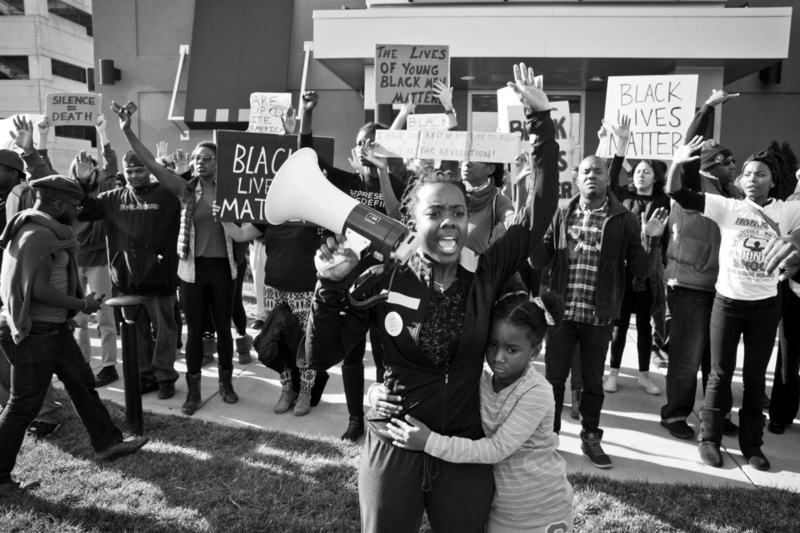 CAMDEN — The documentary film “Whose Streets?” focuses on the racial tensions that inflamed the country following the killing of black teenager Michael Brown in Ferguson, Missouri, in 2014. On her road to making the film, now playing in theaters around the country, co-director Sabaah Folayan made a crucial and fateful stop in Camden. Visiting the touristy town in the nation’s whitest state didn’t figure into the film’s story. But her time at the Camden International Film Festival in 2015 helped her learn how to pitch a film idea to studios and distributors, and led to important industry contacts that helped make this first film project of hers possible. WHERE: Several midcoast venues, including Camden Opera House, Rockport Opera House, and the Strand Theatre and Farnsworth Art Museum in Rockland. SCHEDULE: Complete list of the nearly 80 documentary films and other events, with times and venues, will be online at pointsnorthinstitute.org. WHAT ELSE: The Points North Pitch will be held at 10 a.m. Saturday at the Camden Opera House. This free event is a rare chance for people to watch filmmakers pitch ideas to networks and studios in hopes of getting their documentary movie made. The festival is run by the Camden-based Points North Institute, which works year-round to support documentary filmmakers and help them make industry connections. The 13th annual Camden International Film Festival, scheduled to run Thursday through Sunday, has gained a national reputation for attracting and nurturing talented documentary filmmakers, and for attracting representatives from film companies and TV networks. The festival is only one part of the Camden-based Points North Institute, which runs programs and workshops for aspiring filmmakers all year long, helping them make contacts, learn the business and find funding. Although film festivals that bring filmmakers and the industry together are common, ones that focus on documentary films in the way the Camden festival does are rare. The True/False Film Fest in Columbia, Missouri, is one other. This year’s festival will include some 80 documentary film screenings at venues around the midcoast, including the Camden Opera House, Rockport Opera House, and the Strand Theatre and Farnsworth Art Museum in Rockland. There also will be several sessions, as part of the Points North Forum, where filmmakers will hear about the art, business and technology of documentary filmmaking from professionals, executives and distributors. A highlight of the festival each year is Points North Pitch, a behind-the-scenes look at the work Points North does in matching up aspiring filmmakers with industry professionals and possible financial backing. During the free event at the Camden Opera House, audience members watch filmmakers pitch their ideas to a panel that this year includes representatives from the Sundance Institute, the Ford Foundation, PBS, the Doc Society and several film companies. The event, sponsored by Showtime Documentary Films, lets filmmakers, as it did for Folayan in 2015, practice their pitch and spread the word about their film. More than 150 filmmakers and industry representatives are expected to attend, as well as thousands of film fans wanting to see what’s playing. “Whose Streets?” gained momentum when its co-director Sabaah Folayan attended the 2015 festival, and she will return with it this year. The festival was founded by Camden native Ben Fowlie, whose father runs a convenience store downtown. In high school, he was interested in music, photography and theater, and the idea of exploring the world. He went to Emerson College in Boston, mostly because he wanted to play bass in a band in the city’s lively music scene. But a photography class helped him focus on what he really wanted to do: filmmaking. He was especially interested in documentaries. In Boston, he was aware of and inspired by several major documentary makers working locally, including part-time Northport resident Fred Wiseman, who won an Oscar for his lifetime of work. 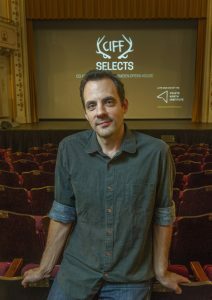 Ben Fowlie, founder of the Camden International Film Festival and co-founder of the Points North Institute, both dedicated to documentary filmmaking, at the Camden Opera House. Fowlie said he took a pragmatic approach, and instead of thinking about what films he could make, he thought about how he could fit into the developing documentary film scene and help it grow. He knew Camden attracted tourists and creative types and that the area was already known to photographers and filmmakers because of the Maine Media Workshops in Rockport. So, in 2005, at the age of 23 and without any real plan, he started the Camden International Film Festival. “That first year I lived in my parents’ home and got help from some high school friends and a cousin. I jumped in really not knowing anything,” said Fowlie, 36. Initially, the festival mostly only invited filmmakers and got local venues to show the movies. Overhead was very low. But now, partly to attract the best people, the festival pays transportation and hotel bills for filmmakers and some guests, and funds various retreats and workshops for filmmakers throughout the year. The total budget for the festival and institute is about $1 million, which doesn’t include in-kind contributions from studios, film companies and local businesses. Festival producer Alex Marvar shares a seat with the Points North Institute team dog, Blue. The festival grew over the years, and programs to help filmmakers evolved. In 2016, the festival’s mission expanded, and the year-round Points North Institute was launched to host forums, retreats and residencies for filmmakers. Some of those programs had already been running, during festival time. Fowlie co-founded the institute with Sean Flynn, who serves as program director. Fowlie has an office in downtown Camden and a year-round staff of about six people, which grows to 15, plus 250 volunteers, around festival time. Fowlie thinks part of the festival’s and Points North’s success is timing. Because of the rise of social media, namely Twitter and the ultrashort sound bite, some audiences yearn for the kind of longer-form exploration of a social issue that documentaries provide. The range of the films playing this year illustrates that point. “69 Minutes of 86 Days” tells the story of a 3-year-old girl’s journey with her family from a Greek refugee camp to Sweden, while “Abacus: Small Enough to Jail” focuses on a family-run bank that was reportedly the only U.S. bank to face criminal charges in the 2008 financial crisis. “Cocaine Prison” is about a Bolivian prison and focuses on three people involved in the drug trade for different reasons, while “Love Means Zero” is about a winning tennis coach whose hard-driving style ruined his most valued relationship. Other films focus on rock star Eric Clapton, farmer and writer Wendell Berry and the 2016 occupation of the Malheur Wildlife Refuge in Oregon. 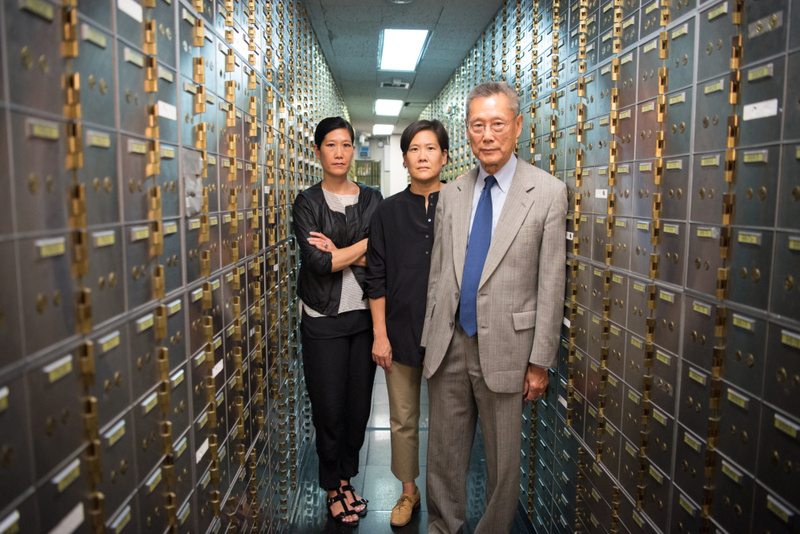 “Abacus: Small Enough to Jail” by filmmaker Steve James will be shown at this year’s Camden International Film Festival for documentary films. James will be at the festival. While Folayan says the Camden festival helped her, by letting her practice her pitch and spreading word about her film, many other filmmakers have benefited more directly from Points North and its year-round programs. During the retreat, Unay said, he made connections with people who became “part of my team” and worked on the movie with him. He said he learned valuable lessons about how to pitch an idea, which eventually helped him get funding. The film has been shown at festivals this year, and a distributor, which he’s not yet allowed to name, has agreed to get it into theaters. The film focuses on a 40-year-old mixed-martial arts fighter who promises his wife and children he won’t go back to the dangerous profession, but secretly begins training for more bouts. The Camden festival was the first time he publicly pitched his idea to the film industry. “It really helped me focus, learn how to tell people just what the story was,” said Unay. Kristen Feeley of the Sundance Institute, who helps match filmmakers with grants and other support, regularly comes to Camden to see the new filmmakers that Points North attracts.